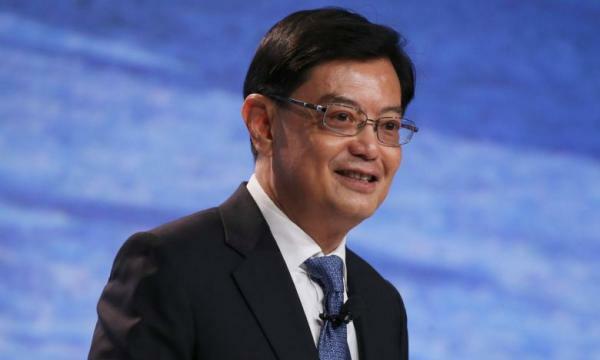 In a two-hour speech, finance minister Heng Swee Keat declared a Budget that will build a "strong, united Singapore" amidst a decline in support for globalisation in 2019. Investments worth $6.1b in Merdeka Generation packages, higher government spending on defence, and an increase in excise duties for diesel are some of the measures to be implemented this year. Heng also announced top-ups for key sectors like transportation, education, and healthcare, a $1.1b bicentennial bonus, whilst tightening rules on foreign workers and imposing a cut on allowances for duty-free alcohol. Singapore had a budget surplus of $2.1b or 0.4% of GDP. This is $2.7b increase from the 0.6% forecasted a year ago amidst the suspension from the Singapore high-speed rail project and higher-than-expected stamp duty collections. Singapore had a budget deficit of $7.1b or 1.4% of GDP. FY2018 had an expansionary budget. For 2019, Singapore expects a basic deficit of $7b. On the whole, Singapore expects an overall budget deficit of $3.5b or 0.7% of GDP. There is no drawing on past reserves. Singapore will tighten the import relief for travellers. For travellers who spend less than 48 hours in Singapore, the value of goods that can enjoy GST relief will be reduced to $150. Singapore will tighten alcohol duty-free concessions from three litres to two litres. This takes effect in April 2019. The government will continue to absorb GST. The government will also provide more help to lower income households and the elderly by enhancing permanent GST. Heng: "Our GST is not high by international standards even the planned increase to 9%. The OECD average is 19% and most APAC countries exceed 9%." For the development of Changi East, the Changi Airport Group will take up loans to fund its share of infrastructure investments. The government will provide a guarantee for Changi’s borrowings. The government is studying the use of debt as part of the financing mix for long-term infrastructure projects. Heng: "For recurrent spending needs like healthcare, education and security - we must not finance through borrowing. This is not the Singapore way. We must mix recurrent spending with recurrent revenue"
The carbon tax will apply to this year’s emissions to help households adopt energy efficient practices. The excise duty for diesel will be raised by 10 cents per litre to 20 cents effective immediately. Singapore to permanently reduce the annual special tax on diesel taxis by $850. It will also permanently reduce the special tax on diesel cars by $100 to reduce impact by more than half. To help businesses adjust, the government will provide a 100% growth tax rebate for one year on commercial diesel vehicles. There will be an additional cash rebate for $3,200 for buses carrying schoolchildren. The drop in new diesel cars and taxis registered as more environment-friendly engines like electric hybrids. Singapore's Zero Waste Master Plan will be launched in the second half of 2019. The National University of Singapore (NUS) School of Design and Environment launched SDE 4, a brand-new net-zero energy building. National Research Foundation will continue to fund research and innovation in urban housing planning. Heng: "Singapore’s public housing policies have been successful thanks to long-term planning." Singapore will top up its transport fund by $10m to support transport expenses. The Urban Redevelopment Authority (URA) Masterplan 2019 will guide Singapore’s urban development over a 10- to 15-year time frame. Heng: "The long-term transformation of our cities must start with our HDB estates." Singapore already has 230km of MRT lines. This will rise to about 360km in 2030 through major projects like major island lines. The government is increasing the capacities of Singapore’s airports and ports. Changi Airport Terminal 5 will be built 5.5 meters above median sea level. Singapore to introduce a $1.1b bicentennial bonus. For lower-income Singaporeans, there will be additional help for daily living expense of $300 through a GST voucher. This will benefit 1.4 million Singaporeans. Singapore to introduce 50% personal income tax rate subject to a cap of $200. Benefits will go mostly to middle-income earners. A $150 top-up will go to the Edusave accounts of parents with school-going children and the government will provide additional support. Singaporeans aged 17-20 will receive up to $500 in their post-secondary education accounts. A CPF top-up of up to $1,000 will be provided for eligible Singaporeans aged 50-64 in 2019 who have less than 60,000 in retirement savings in their CPF accounts. Around 300,000 will benefit from this top-up. Singaporeans aged 50-64 who qualify for WorkFair will benefit from WorkFair income supplements. Set aside $200m for Bicentennial community fund. Individuals and corporates to give back to the community. Donations to institutions which have a public character qualify for 250% tax deduction. Businesses also enjoying the 250% tax deduction on qualifying expenditure. Dollar-for-dollar matching for FY2019 donations to IPCs; 250% tax deduction for qualifying expenditure for volunteering or IPC services. Long-term Care Assistance Scheme: "We will raise the cash assistance rates for this scheme. A 2% household can receive $30 per month." Monthly pension ceiling will be raised by $20 per month. "Today, every ministry has a senior officer appointed as a giving ambassador to champion volunteerism." More than 85% of officers are making monthly donations. For this Budget, the government will set aside $6.1b for a new Merdeka Generation Fund to cover the full cost of Merdeka Generation Package (MGP). An MGP will provide "peace of mind" over future long-term healthcare costs. Merdeka Generation (MG) seniors will receive a one-time $100 top up to their Passion Silver cards. There will be a medicine top-up of $200 per year for five years until 2023 to help seniors save more for their healthcare needs. On top of GST top-ups that seniors receive every year. All MG seniors will receive these benefits regardless of income. Patients will receive 25% of their subsidised bills. MG seniors can also receive MediShield premiums for life starting from 5% and increasing to 10% after they reach 75 years old. "We will provide additional participation incentive of $1,500 for MG seniors who join CareShield Life when it comes available for existing cohorts in 2021." All MG seniors that join CareShiled Life will receive participation initiatives totalling $4,000 each. The MGP will benefit close to 500,000 Singaporeans. We will extend MGP benefits to those born in 1949 but missed out. MG seniors will receive MGP benefits regardless of their income and will receive MGP cards starting from June 2019. Merdeka generation is aged 62 to 69 today. To help Singaporeans who are younger than the Merdeka generation, future health care expenses be topped up with $100 a year for the next five years. Subsidies for the Community Health Assistance Scheme (CHAS), launched in 2012, will be extended to cover all Singaporeans for all chronic conditions regardless of income. Singapore expects to pay more than $200m a year in CHAS subsidies. The Ministry of Health (MOH) estimates that 1 in 2 Singaporeans aged 65 and above could become severely disabled in their lifetime and need long-term care. "We need to pool risk through an insurance scheme." The New CareShield Life — an enhancement of the Eldershield scheme — will provide more coverage and higher monthly payouts of at least $600. The government will provide subsidies and premium supports to ensure Careshield Life is sustainable. The government will launch the Elder Fund in 2020 to help low-income Singaporeans who need additional financing for long-term care. The cost of long-term care is increasing as Singapore's population ages. Singapore paid $200b in premium subsidies for 2018. This year, Singapore will set aside another $3.1b. The government will put $5.1b into a long-term fund that will support the CareShield and other long-term support measures. Singapore's Work Fair and Silver Support schemes are to supplement incomes in the working and retirement years. "We will enhance Work Fair income supplement to better support low-income workers." From January 2020, the qualifying income cap will be raised from the current $2,000 to $2,300 per month. Annual max payouts will be raised by up to $400 for older workers. These enhancements to social security will cost an additional $260m a year. "In total, we expect the enhanced warfare income supplement to cost close to $1b a year, and benefit almost 440,000 Singaporeans." One in four of Singaporean workers is aged 55 and above. The government has set up a tripartite work group to review work concerns of older workers. Results will be released later this year. With a little labour market and more Singaporean choosing to work longer, small companies will be hiring older workers. The Special Employment Credit (SEC) and Additional Special Employment Credit (ASEC) will be extended for another year up until 31 December 2020. The SEC fund will be topped up with $366m. Heng: "We expect to spend $4.6b over the next three years on new and enhanced economic capabilities in Budget 2019 to support Singapore workers." $3.6b will go to helping workers thrive against industry and tech changes. $1b will help firms enhance deep enterprise capabilities. In 2018, Singapore topped the human capital index by the World Bank. Social ministry expenditures have doubled from $15b in FY2009 to $30b in FY2018. The government spent about $1b in the preschool sector in 2018, more than two and a half times than the $360m it spent in 2012. The government subsidizes over 90% of the total cost of educating our children. A child entering primary school will receive over $130,000 in educational subsidies. Since KidSTART's pilot began in 2016, over 900 families have been supported by the programme. As part of Singapore's thrust to build deep worker capabilities: "The government will continue to invest in our people across all stages of their lives from preschool to work." Singapore's investments into its people and their careers hit more than $1.1b in the financial year 2017. The percentage of residents who participated in the training rose from 35% in 2015 to 40% in 2018. More than 76,000 job seekers found employment through the adapt-and-grow initiative. Since the establishment of the Professional Conversion Programmes (PCP), over 100 PCPs have been launched in 30 sectors. Starting from 1 April 2020, all efforts supported by Enterprise Singapore's grant must include positive worker outcomes like wage increases. Singapore's enterprise deployments grant must include positive outcomes for workers, such as wage increases. In particular, the S Pass Scheme group services is the highest in five years. It will be lowered from 15% to 13%, and then 10%. Some segments like retail remain very labour intensive. The 70% funding support for the Enterprise Development Grant and Productivity Solutions Grant will be extended for three more years until March 31, 2023 The Productivity Solutions Grant's scope will be expanded for to up to 70% for out of pocket costs for training. On a case-by-case basis, companies can bring foreign workers. Enterprise Singapore will launch the Scale-up SG programme in partnership with private and public sectors. "They will work with aspiring high growth local firms to identify and build new capabilities to innovate, grow, and internationalize to support innovation for launch a pilot innovation agents programs for firms to tap on the pool of experts device them on opportunities to innovate and commercialize technology." The government has, since 2010, set aside $400m through two rounds of funding injections for the CO investment program. The government's investments catalyzed approximately $1.3b of additional funding for our SMEs. It will set aside an additional $100m to establish SME co-investment fund III: "We expect that this will bring in at least $200m of additional funding." The government will take up to 70% of the risk for bank loans to young companies, compared to the current 50%, and the most existing loan scheme to support SMEs in their day-to-day operations. "I will extend the SME working capital loan scheme for about two more years until 2021." IMDA will enhance Business sans Borders. Heng: "We will expand the number and range of pre-approved programmes under the SME Go Digital." 4,000 SMEs have adopted pre-approved digital solutions. Productivity Solutions Grant was announced last year. This year, they will extend automation support package (ASP) for two years to cover Robotics, IoT, and Industry 4.0 technologies. Digital Services Leg (DSL) was launched in November 2018. MTI and agencies are developing a one-stop portal for the food services sector by Q3 2019. Businesses will deal with only one point of contact as opposed to 14 different contacts. Since its launch, the ASP has helped more 300 companies. We have more than 200,000 enterprises in Singapore. As a marine shipyard and process sectors have only begun recovering, their worker levy rates will be deferred for another year. TACs (trade associations and chambers) have done well to forge overseas partnerships. Enterprise Singapore will be developing five-year roadmaps for TACs. Heng: "We should position Singapore as Asia 101 for global multinational corporations (MNC) looking to expand." On R&D investments: we’ve set aside $19b as part of our five-year research innovation and enterprise 2020 plan. The low-tech construction sector, which has started using technologies like 3D modelling, has improved productivity by about 15% in the past eight years. Enterprise Singapore's investment arm has appointed seven partners to co-invest in Singapore-based agrifood startups, catalysing more than $90m in investments. Singapore has 14 corporate laboratories in universities. Last year, four corporate labs were opened. It will establish a centre of innovation in eco-culture to improve food resilience. Singapore will also set up an energy research institute at Nanyang Technological University (NTU) that will focus on energy efficiency, renewable energy, and electric mobility. Singapore will combine the local and overseas internship programmes into a single global-ready talent programme. In Budget 2017, the Global Innovation Alliance was started. Singapore now has established nine nodes like Bangkok, Beijing, Jakarta and San Francisco. Real median income has grown by 3.6% per year in the last three years. Three key thrusts in the Budget to support industry transformation: building deep enterprise capabilities, building deep worker capabilities, and encouraging strong partnerships. Heng: "There are now over 220 venture capital deals, per year in Singapore for close to $4.2b." Today, more than 150 Global venture capital funds incubators and accelerators are based in Singapore, supporting startups here and in the region. Minister of Home Affairs will create a cybertech agency by the end of 2019 in partnership with private sectors. A “total defence approach” is the focus on cybersecurity. Heng: "On the national level, we plan long term through diversifying sources of water supply, strengthening food security, and improving psychological and emotional resilience." Digital defence is the sixth pillar of Singapore’s “total defence” approach. In 2018, Finance minister Heng Swee Keat mentioned three global shifts: the shift of the global economy towards Asia; rapid technological advancements; and demographic patterns. This year, he adds the fourth major shift: declining support of globalisation. Heng: "Others are benefiting from globalisation whilst others are questioning its value." This year's Budget theme is "Strong United Singapore."